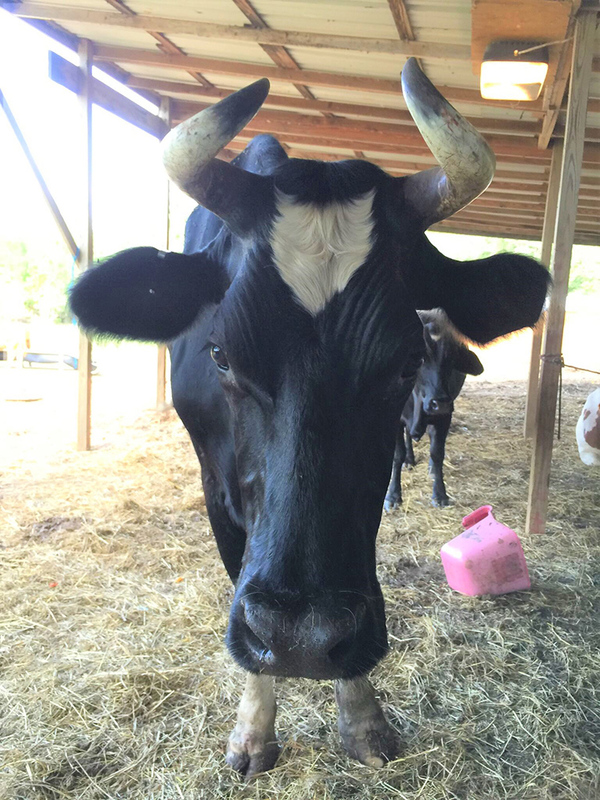 How the South Florida SPCA and Rowdy Girl Sanctuary came together to give eight cows an ideal life of love, care and compassion for the rest of their lives is a compelling story, born of love, dedication and commitment to the rescue and care of horses and farm animals. The South Florida SPCA is a horse rescue located in Miami, Florida successfully rescuing, rehabilitating and adopting out abandoned, abused and neglected horses for the past 23 years. Sometimes during these horse rescues, other farm animals are also found to be in danger and the SF SPCA will take them into care as well. We leave no livestock behind and have taken in goats, sheep, pigs, emus and cows. 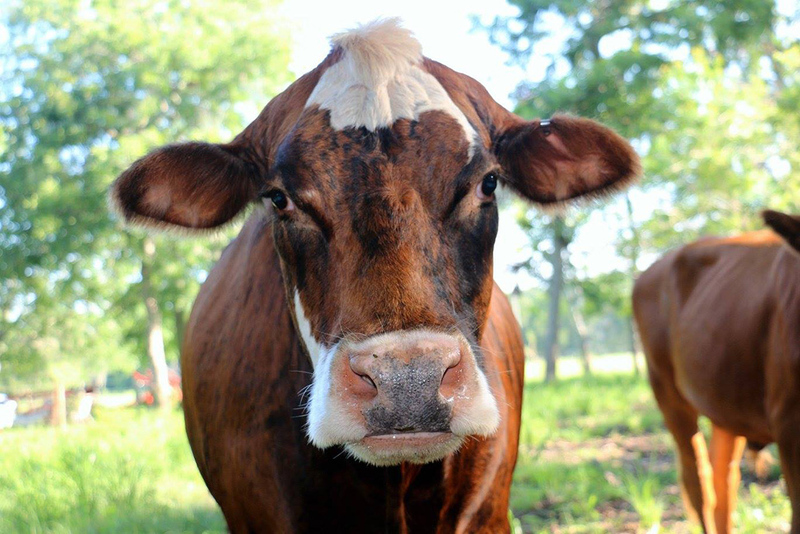 All have been successfully adopted into loving homes or breed specific sanctuaries with the exception of the cows. Cows are different. 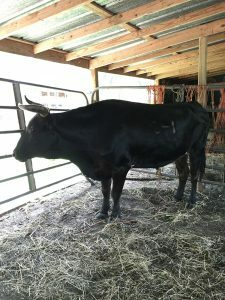 They cost as much as horses to keep, require a lot of space and you can’t ride them, resulting in very few folks who want to adopt cows as pets. For the most part, they are seen as food or a vehicle to make future food. Over the course of a number of years, the SF SPCA slowly acquired eight cows and has provided them with safe haven, care and love, some for years. Auctioning them off or getting quick rid of them was never an option, as their safety and wellbeing remained paramount. Essentially, the SF SPCA became a permanent home for Big Bird, Murray, Star, Freckles, Panda, Jordan, Lucky and Corey. With the passing of the years and the increasing number of horses in need of rescue in Miami, the SF SPCA now cares for 50-70 horses at any one time and our ranch facility sits on 6.9 acres. 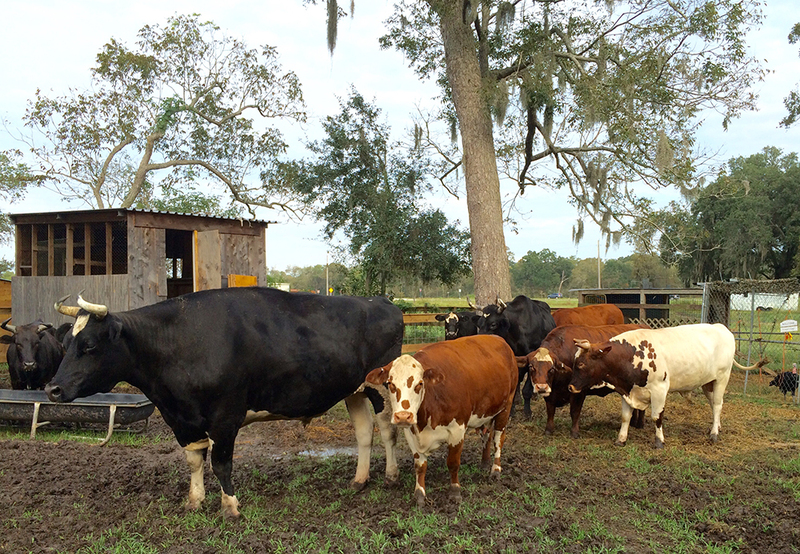 Our eight cows lived on a three-acre pasture that they shared with rotating shifts of horses. Over time we came to an unpleasant conclusion, that our horse rescue ranch was no longer an optimal environment for them. What the cows needed was a life with a lot more space, shared with other cows. So the search to find them a permanent, more suitable placement that could safely and lovingly meet their needs for the rest of their lives was on. 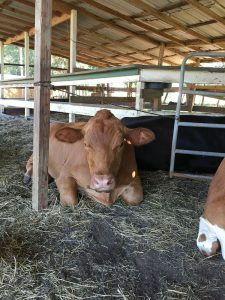 The SF SPCA contacted a number of farm animal sanctuaries only to be told, what we had expected, that they did not have room, resources or only took in animals in immediate threat of slaughter or harm. Some told us to contact them in a few months and “maybe” they could take in one or two of our cows. We knew the chances of getting our cows into sanctuary was small and even at that, would require them to be split up and sent away to different sanctuaries across the country. It wasn’t ideal but we knew it might be necessary. So the search went on, until a phone call was made to Farm Sanctuary. 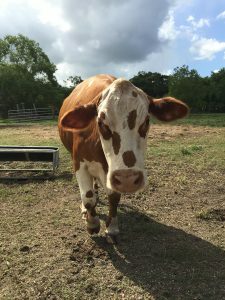 Farm Sanctuary, a nationally known and a long standing sanctuary, was contacted in July of this year, inquiring about placement for our cows or suggestions about placement opportunities. While not being able to take in our cows, a recommendation was made to contact more recently established sanctuaries as they were more likely to have space to take in at least a couple of our cows and gave us the name and contact info for a few, one of which was Rowdy Girl Sanctuary, a 97-acre sanctuary that had once been a cattle ranch. After some internet snooping and visit to the Rowdy Girl website, Renee King-Sonnen, founder of Rowdy Girl, was emailed a letter, introducing the SF SPCA and explaining the need to place our eight beloved cows in sanctuary. Where that email would lead we could have never imagined. Thirty minutes after emailing that letter, the SF SPCA got a call from Renee, stating enthusiastically, “I want to help you and your cows”. She had done some Internet snooping as well and was amazed that as a successful horse rescue, we took in cows and provided them with a loving home, in spite of limited space and resources. She knew of no other horse rescue that had that kind of commitment to farm animals, that’s why she wanted to help us and our cows. That started a conversation about her and her husband Tommy’s amazing odyssey from cattle ranchers to founders of a vegan sanctuary, their love for cows and a desire to help folks, cows and other farm animals in need. What is most striking about Renee is her enthusiasm for her sanctuary, the animals and the cause. 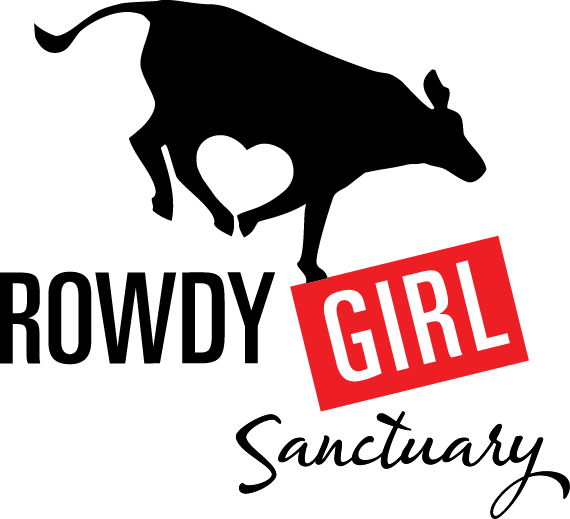 She gets things done and by the end of our conversation, she stated “Rowdy Girl Sanctuary will take all of your cows so they can remain the bonded family they are” – no strings attached. Writing this, we are still amazed and grateful for Renee’s generosity and compassion. 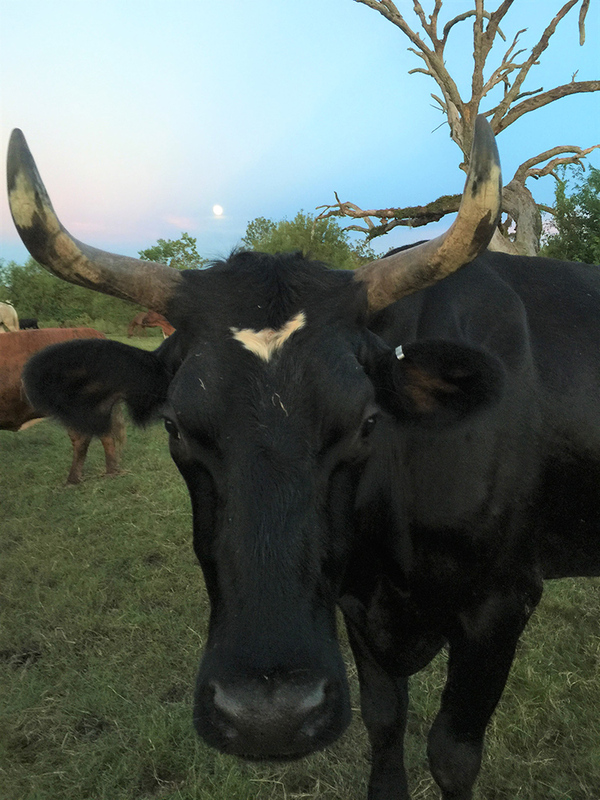 After some discussion, it was decided that early November would be a good time for her to receive our cows, giving Rowdy Girl time to make ready for their arrival. 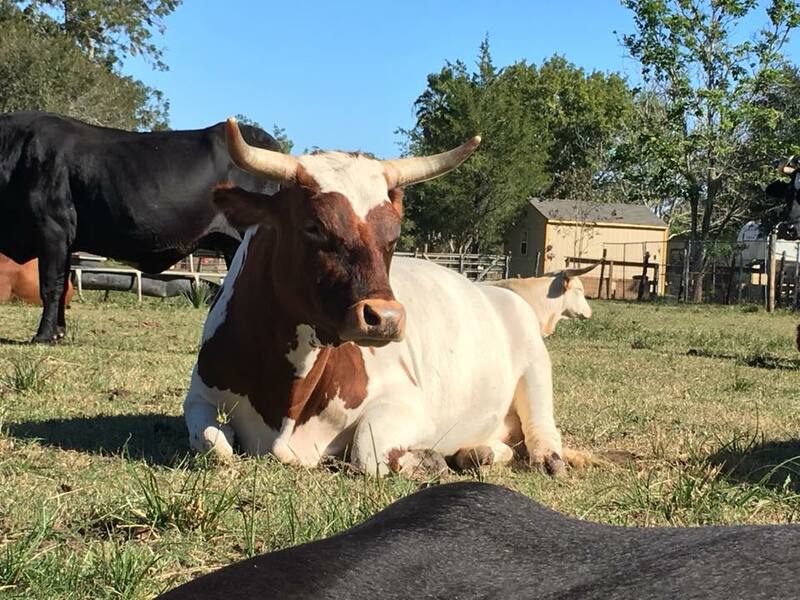 On November 1st our cows, Big Bird, Murray, Freckles, Star, Panda, Jordan, Lucky and Corey left the SF SPCA for the long journey to Angleton, Texas. Seeing these magnificent animals loaded on a trailer for what for them is an unknown destination was a poignant and saddening reminder that the final journey for most of these vulnerable and gentle giants is one riddled with fear, all too often inhumane treatment, ending in slaughter. Our cows are lucky and just how lucky they are could only fully be understood on the day of their arrival at Rowdy Girl when Renee started uploading pictures and videos of their arrival and exploration of their new home. From putting them in a one-acre pasture overnight so they could safely acclimate and kept an eye on, to their transfer to a lush, 15-acre pasture, filled with beautiful woodlands, to Renee’s singular commentary about her observations and loving, enthusiastic interaction with the cows, is more than the SF SPCA could have ever hoped for. 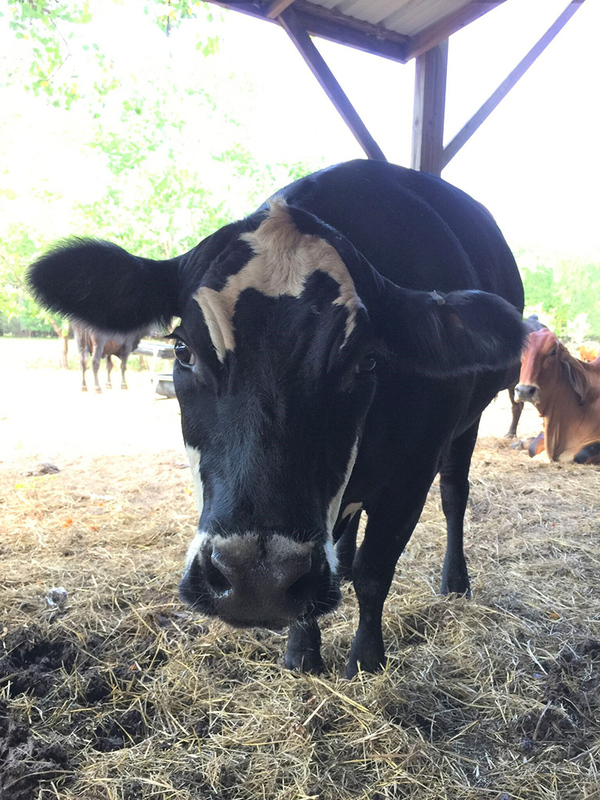 The videos and pictures keep coming and there are no words to describe just how moving and rewarding it is to see what used to be our 8 cows, exploring and frolicking with Renee in their new home, a home that can only be described as heaven for cows. It is those videos and pictures that Renee takes the time to share that also allow us here at the SF SPCA to feel that Big Bird, Murray, Freckles, Star, Panda, Jordan, Lucky and Corey are not so far away and completely gone from us. It feels like they’re just around the corner. Every once in a while miracles do happen and the South Florida SPCA and the Rowdy Girl Sanctuary have the honor and privilege to have made it happen and get to tell the tale about what it means to save the lives and provide a safe, loving home for eight extraordinary cows.